Virpazar is a town in the Bar municipality, Montenegro. 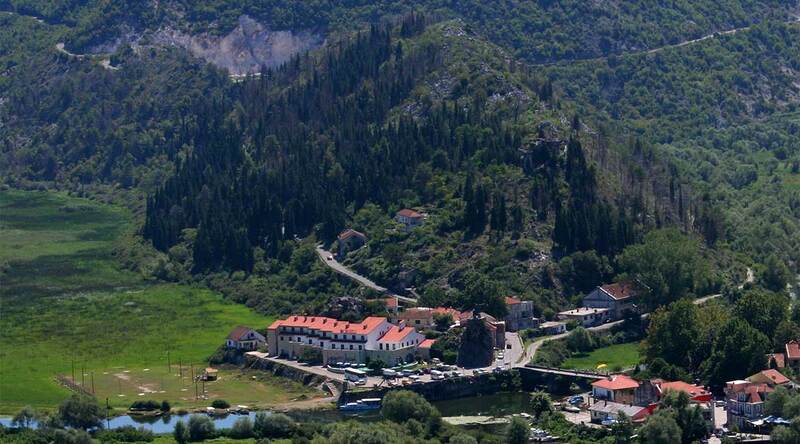 It is located in the Crmnica region, on the shore of Skadarsko Jezero. It has a population of 337. It is a stop on the Belgrade – Bar railway, and is home to Virpazar hotel, a picturesque lake shore hotel. Apartment Dejic – This property is a 1-minute walk from the beach. Featuring free WiFi and views of the mountains, Apartment Dejic offers accommodation in Virpazar. The property offers views of the lake and the river. The apartment consists of 2 bedrooms, a living room, a fully equipped kitchenette and 1 bathroom. A flat-screen TV and a DVD player are also provided. You can rent bicycles at the apartment and you can enjoy cycling in the area. Facilities : Free Wi-Fi Internet Access Included, Free Parking, Terrace, Outdoor furniture, Balcony, Restaurant, Mini Bar, Pets Allowed, Bicycle Rental (surcharge), Airport Shuttle (surcharge), Lake View, Water Sports Facilities (on site) (Surcharge).